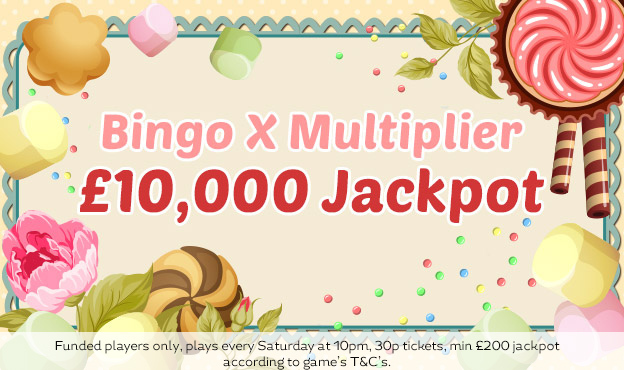 Join us @ 10pm every Saturday to watch this mega jackpot get multiplied! We give away up to £10,000 every single week in this super sliding jackpot. And don’t miss the chance to win 50 TICKETS every Sunday by playing Cupcake Bingo’s side games at 11pm. See you there! Bingo Multiplier game is available for funded players. The game plays every Saturday at 10pm, Cards are 30p each.